Now this is shocking. 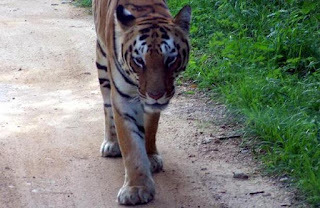 A Royal Bengal tiger (Panthera tigris tigris) has mauled a farmer at Trongsa on August 1, 2010 according to Kuensel report dated August 3, 2010. I am worried about the safety of our farmers in the villages who live in close proximity with jungles, closer to the danger of man-mauling tigers and other wild animals. And for them the forest is a place they visit almost on a daily basis like we are used to visiting bars in the urban centers. And I know this is just one incident. But how many dead bodies do we have to count before we take some actions against such intruding threats? It is most likely that now our farmers might never know if they would even return home safely in the evening. And that revelation is shocking and traumatizing to say the least. And this is at a time when the nation and the entire region are working towards saving the big cats. We are told of concerted effort being made from all quarter towards this noble cause. I agree our tigers should be protected but not at the cost of our farmers’ lives. This is because some day in future, when our jungle is filled with big cats, I can't imagine how our farmers would deal with situation. We do understand what the extinction of tigers means to the ecosystem. Now talking of the compensation, forest officials are quoted as saying they are unsure whether the victim will be paid compensation. Of course some form of compensations should be paid. Otherwise doing a save the tigers campaign and making elaborate speeches on saving big cats hardly makes sense. We talk of protecting our tigers from the comfort of our offices and luxurious towns and cities while farmers in the villages strive to protect their cattle and now their lives from the big cats. 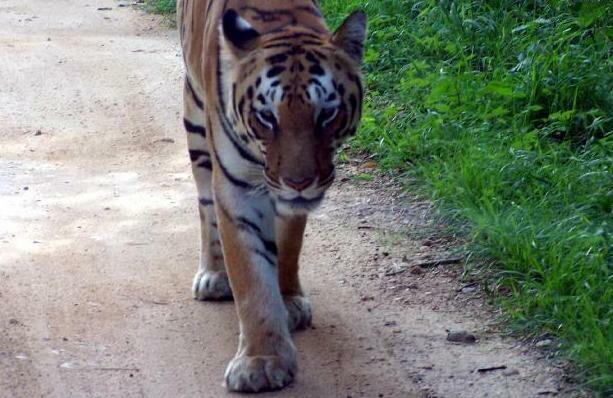 There should some ways out: a middle path where tigers do not maul men and men do not hunt tigers.